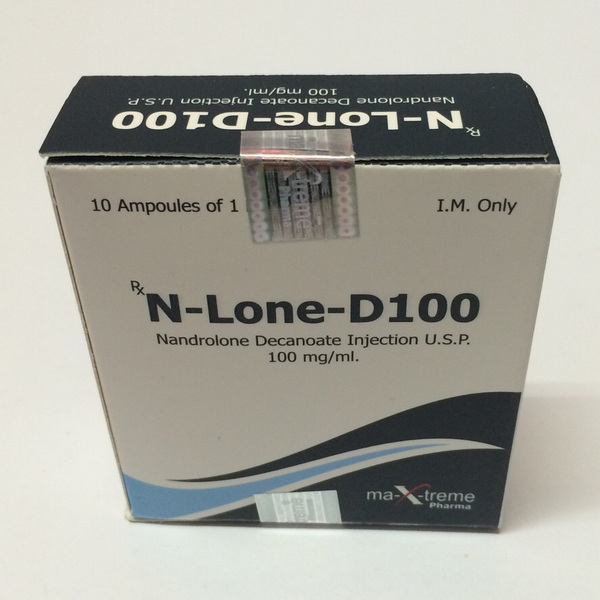 N-Lone-D 100 mg is an excellent drug for gaining weight and increasing strength. Even in small doses, the drug contributes to water retention in the body better than testosterone. And in the courses of “drying” and in preparation for the competition this steroid is absolutely useless. Nandrolone decanoate is referred to as the so-called “long drugs”, the minimum duration of the course of steroid intake is 10-12 weeks. It is worth noting that the use of this drug has a beneficial effect on the condition of the joints and ligaments. Also, athletes taking this steroid are not subject to such side effects as prostate hypertrophy, hair loss, acne. But N-Lone-D 100 is a progestin and when it is taken, Prolactin levels increase, which entails the risk of prolactin gynecomastia. Prolactin levels are controlled by prolactin inhibitors, Cabergoline (Bergolak, Agalates, Dostinex).